What do you get when you combine small business and an economy in recession? A very crunchy little budget for SMB owners to work with. First, do not view the tight budget or the lean economy as your enemy. Certainly we all enjoy times of prosperity more than times of recession, but it's often during tight periods that we learn to harness creativity, drop the deadweight, and get our businesses lean and ready for real growth. And real growth usually comes after tight times. 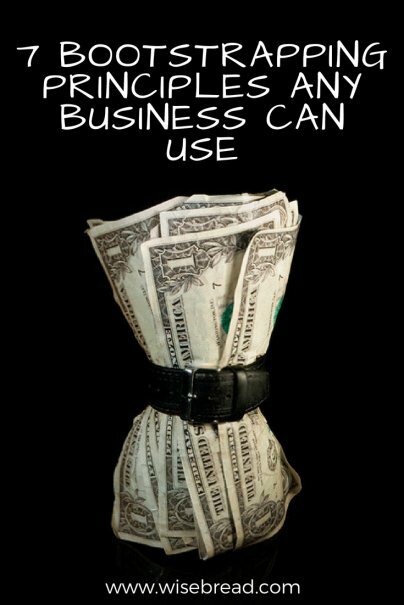 So hang in there with your business and look for the positive side of a tighter budget. Also, do not pull back and hide in the business equivalent of the fetal position until "things get better." Certainly, things will get better. But if your business is hiding out in the broom closet, things will not get better for you. Take the active approach. Drop excess costs. Tighten up. And work harder than you ever have, so when things do get better, you'll be ready to let your business grow. In these lean times, it's smart to turn to tactics that boostrapping entrepreneurs have always used to keep their business running without a lot of cash on hand. Maybe in years past recurring expenses were approved without much evaluation. Now is the time to evaluate and cut. Do not keep doing things that cost money just because you've always done things in that certain way. If it isn't making you money, or essential for the operation of your business, it's in the optional pile. Reducing your expenses is an important part of the bootstrapping philosophy. Saving money is important, but you have to do more than just cut corners and buy cheaper paper towels. You also have to focus on making money so that you have cash coming in, so that you can pay for what you need in order to keep your business operating. Don't make the mistake of saving yourself into business closure. Bootstrappers know that you still have to get work done, because getting the work done is how you make money. And getting work done will cost money. Be efficient, not cheap. Maintain the employees you need who produce quality work. Firing your staff so that you're overloaded with administrative details isn't a smart money-saving move; it's business suicide. Money is a nice resource. We all like it. It's also the easiest resource to use and, usually, the first resource to run out. Fortunately it's not your only resource as a business owner. You've also got intelligence, creativity, time, a network, your own education, and your team of workers and partners. You have other resources, too; look around and recognize your assets before you start counting your liabilities. How can you use those resources to get things done, get money moving in the door, and keep your business moving forward? Ideally, you'd be able to get a consultant or specialist or firm to do work you can't easily do yourself, such as create content or design business cards and flyers. When times are tight, however, look at those often neglected areas of your business called "employee talents." Instead of paying a design firm thousands of dollars, host an in-house contest for best flyer design and reward the winning employee with a (good) prize or a nice wad of cash. Graphic designers everywhere are shuddering, I know. Writers like me will be, too, when I suggest the same methods for getting great blog content or marketing material written. Look within before you hire from without. Yes, professionals are generally worth the money. However, when you simply don't have the money, you can still get things done. You can also consider hiring an intern for a time to help with additional projects. Just don't neglect the important step of rewarding your employees and interns for any work that goes above and beyond their job description. For those times when "in-house" really isn't an option, go back to the time-tested method of bartering. Offer product for product or service for service. Be straightforward with this: "I really don't have the cash for this right now, but I do have XYZ. Can we work something out?" Finally, remember this: nothing is written in stone. You may be looking at a price list or contract terms that seem to be unalterable, but don't assume that is true. Always ask. Always bring an option to the table. Always ask for the best deal, or the greater value, or the extended terms, or the lower interest, or the reduced fees. Remember, you're not only a business; you're a customer, too. Go ahead and act like one when it comes to negotiating contracts, prices, and terms.